I worry about my fashion on learning whatever I like. This year I have my focus on understanding online marketing and developing my skills for it. At the same time I want to learn another things “real estate venture” but my time is not enough to handle it. I know that it will take years for me to become a good real estate broker and I have to invest money too. What I want to do now is to apply what I’ve learned from online marketing and at the same time, deal with real estate. I got the idea form Richard Carlson on his “Don’t worry make money – Form a winning partnership.” What this idea can do for me? I don’t know much about selling property but I know someone who is very proficient on making a good deal. Some essence of online marketing is getting more prospects in to your sales. If that person is looking to do this technology, then we can form a winning partnership. Your partner can cover up your weakness. You and your partner have different functions. When that functions work together, it can create a great result. This is what you call the winning partnership. We become the person and the product of our experienced. This topic explains what come first, Attitude or Success? Every successful man has the right attitude to achieve his goal. It is hard to become successful when we don’t have the winning attitude. We want to become successful but first we must engage with circumstances. We can call it a test that shows who we are as we failed or succeed in the end. A circumstance is a mirror that shows how you react and reveal who you are. That experience will transform to become who you are weather you learn or not. Looking at the mirror don’t change anything, I only shows who you are. What important is to learn from what you see. Being prepared at any given situation can help you handle or solve the problem and sometimes it’s already solved, we just have to pass thru it. The circumstances will reveal if you are really prepared or not. Attitude can be mold by circumstances. Circumstances is constantly shaping your character, we adjust ourselves when we see us bad or good at the current situations. We can choose what we become and known for who we are. https://www.dlysen.com/wordpress/wp-content/uploads/2015/10/logo-grace-and-dangal-2015-80x80.png 0 0 dlysen https://www.dlysen.com/wordpress/wp-content/uploads/2015/10/logo-grace-and-dangal-2015-80x80.png dlysen2011-07-26 01:04:472017-12-10 15:09:24Keep in Mind that Circumstances Don’t Make a Person, They Reveal Him. The lack of motivation and courage can form this kind of attitude. Self-defeating belief can be overcome by loving and knowing more about your self. This is an inside job, to battle against your negative subconscious mind and never let any of it influence you. This attitude will discourage you with “you can’t do it attitude.” And influence you by “giving up to soon.” Overcoming your self-defeating belief can move things fast. Self-defeating belief is like when you first try a roller-coaster ride. A minute before the ride you felt nervous. Being afraid of heights plus feeling nervous is one of your self-defeating beliefs. We over come that feeling as soon as we get over the ride. There are two things that can happen; one is to overcome your fear and to fail experiencing the roller-coaster ride. This story happens to me on our high school field trip at Enchanted Kingdom, Sta. Rosa Laguna. We rush to the space shuttle as we enter the gate. We want to ride the roller-coaster first of all the rides. Some of us back up from the falling line. After the rides you can hear two things, it was great and I will never try it again. Sometimes we back out or quit even there is so many possibilities that we can. If you really want to succeed in this situation, you must find courage, have faith and inspirations. Your action will move to eliminate your self-defeating beliefs. Look at the child, who knows nothing, they are not afraid to ask what they want. They will do everything to achieve what they want. It is because they don’t know about defeat and they just pursue what they want. They get two results in the end, fail or succeed. We don’t want to fail again next time so we avoid doing that mistake again. This develops our self defeating belief that we never notice and had this fear as we grew up. This attitude will not really help you to move on. You’re slow in progress. When you want something to accomplish remove your self-defeating belief out of your way. If you want to pass on the board exam, then review as if is you will never fail. Because if you think you will fail on the exam then your review is just a waste of time, but then if you believe that you can really pass, your review will be worth afterwards. You will see the difference in your action when you believe or not. Overcoming your fear will help to remove your self-defeating belief. This is not an easy thing just like a habit that you want to avoid. Practice and look for help. You can do it alone but it will be more luck with the help of others. They can give you more motivation and inspiration to overcame your fear and change your self-defeating belief to challenging triumph moment. It means of breaking up or stopping the current flow. It is useful to short circuit our reaction if it is negative. Reaction spirals is like thinking repeatedly and it happens when we are excited or in worries. Worries must be short circuit because it will only make you feel uncomfortable. It will continue to attract bad luck and it must be stop. We can stop it by changing our thinking. We can try to change our moods the way we see or feel things. We can always alter our reaction gradually. Study and understand your situations before we give reaction and it will be more effective. Relax before we think and decide on every complicated situation. I remember when I failed to short circuit my reaction and I know it happens to you too when you can’t avoid to laugh. 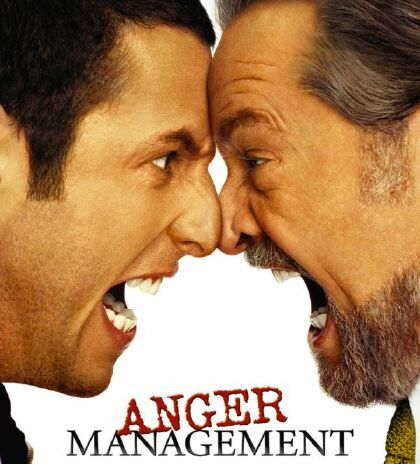 Hold your anger as much as possible and relax, think just before we react to lead us in positive luck. We are born to ask for what we want. Did you know what it means when a newly born child cry? They ask for something that they can’t say but to cry. As we grew up, we forgot how asking is very effective way to get what we want. Ask knowing and believing that you can hope or have it is important. How can you ask for something that you can’t trust or hope for? It’s waste of time to convince yourself that it will happen even if you have a doubt. It can be once in a blue moon. Believing 100 percent it can’t be an assurance. So why give a doubt on the things that you want when you know that you can have it. It is better to forget things that you want when at the same time you don’t believed to have it. It is also applies to the law of attractions. You attract what you want and your thought become things. https://www.dlysen.com/wordpress/wp-content/uploads/2015/10/logo-grace-and-dangal-2015-80x80.png 0 0 dlysen https://www.dlysen.com/wordpress/wp-content/uploads/2015/10/logo-grace-and-dangal-2015-80x80.png dlysen2011-04-14 15:20:162018-09-21 14:14:38Ask for what you want. What can I say about “take your lunch?” We literally take a lunch to keep our body healthy but “Don’t Worry, Make Money” means how will you take your lunch. Will you spend much time and money or find a way to take your lunch wisely. This topic gives example of minimizing your expenses not just in having lunch but in any aspect of spending money. The book said that if you can save $5 in every meal because of bringing prepared lunch from home will give you $100 savings in 20 days. Take note, this can be applied in other way. Instead of riding a taxi cab, walk if it’s just 5 or 10 minutes walk away. Its an opportunity to get an exercise if you still have much time before your appointment. This is good habit that a extra ordinary people do. It can make a difference in the long terms. I remember when my mother use to prepare me a lunch pack every morning, it’s not because she’s saving money in the future but honestly we don’t really have much. I feel thankful for it was the time I started to develop good habit delaying gratifications. Who would believe that bringing your lunch to work could be such a profitable thing to do? Wait for inspiration and attract it. We must be willing to admit that we do not know what to do at a given moment. The topic here is too short. Maybe the author really doesn’t have inspirations to elaborate the meaning of it. But by reading it he delivers exactly what he want to say. For me this is like “sharpening the saw” on the seven habits of highly effective people by Stephen Covey. Waiting for inspirations do not meant that you will do nothing. It is a pause to enhance and understand everything before you move on. Knowing what to do will make your journey easier. I want to highlight the part I love to read in this topic. 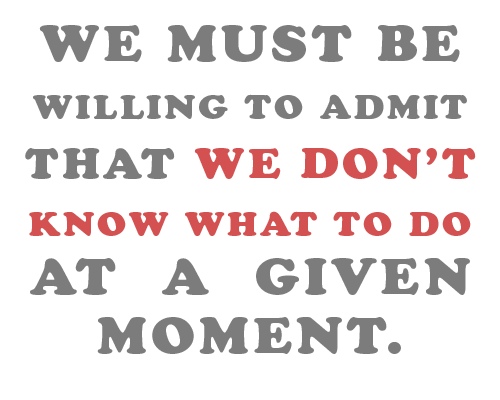 We must be willing to admit that we don’t know what to do at a given moment. We must learn to be a little patient; it’s worth the wait. The simple act of admitting that you don’t know an answer, at present, activates your inner wisdom and guidance. Always feel wealthy even if you’re in big debt. It is a self motivation attitude to survive financial and emotional. Our attitude and emotion has a big role to maintain wealth consciousness. This will attract abundance to your life. We also need tools to monitor or expenses and savings to keep a record. A record will make you feel more secure and improve your budget. Think of the things that you don’t want and you will be in a worry. Think of the things that you want and you start doing things towards it. It is the seed we plant and soon to harvest. You may find yourself inspire, motivate, energetic, and has the passion to make things possible. 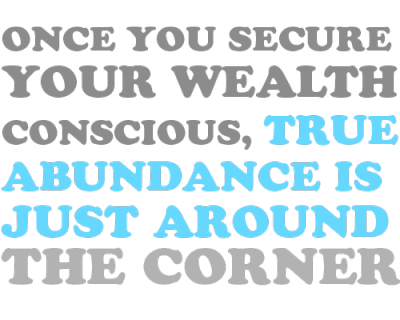 Once you secure your wealth consciousness, true abundance is just around the corner. Almost every successful individual has mistaken. It’s not about the mistake they are proud when they share it of but how they have learned is important. Mistake is important, learn from your experience and learn from the mistake of others. Mistake is not a grateful thing in reality, avoiding it is awesome. In the end you can laugh how did you fell from the first time and be glad to be aware on the second time around. In every mistake there is a potential for growth. Go find it you get the benefits from it.